Rewilding Europe regularly organizes webinars for members of the European Rewilding Network (ERN). Here they discuss rewilding related topics and share their knowledge and experience. When ERN members from nine rewilding sites came together to talk about communications methodology in December 2016, they were given presentations on the Danube Delta rewilding area in Romania, and the Kempen~Broek nature reserve on the Dutch-Belgian border. Alexandra Panait, Team Leader of the Danube Delta rewilding area in Romania, provided insight into the local context of this vast wetland. She went on to describe how effective stakeholder engagement here has already boosted community support. 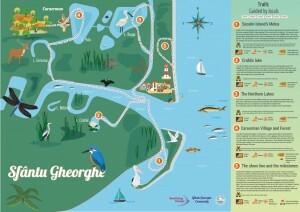 Sfântu Gheorghe community trails map, Danube Delta, Romania. Through informal interviews and focus group meetings, the Danube Delta team have developed a comprehensive stakeholder map. Illustrating the complexity of local stakeholder relationships, this user-friendly tool has helped to bring about better project results. 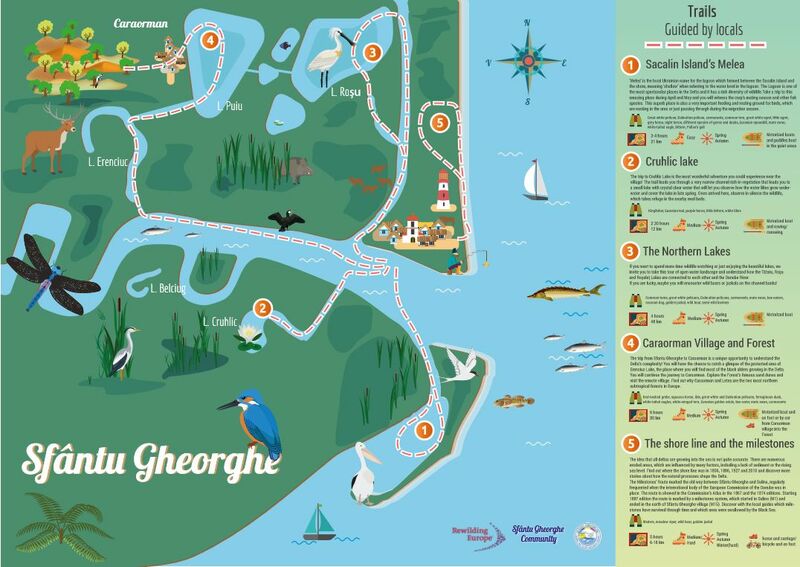 The team has also created a tourist trail map in cooperation with the community of Sfantu Gheorghe. The map, placed in the centre of the village, has given residents – especially those who helped to create the map – a real sense of pride. This, in turn, has increased support for local rewilding efforts and given people a better understanding of what rewilding is, and how it can benefit them. It is clear from this example that building trust, understanding people’s needs, and taking account of socio-economic as well as environmental issues are all critical factors in the generation of grassroots support and the timely development of rewilding projects. The success of the Danube Delta team also highlights the importance of employing team members from the local community. Twan Teunissen, a communications expert at ARK Nature in the Netherlands, presented work done at the Kempen~Broek nature reserve, located on the border of Belgium and the Netherlands. Twan gave an overview of a cross-border rewilding project that is restoring water systems and allowing processes such as natural grazing to reshape the landscape. Sharing milestone project achievements at Kempen~Broek – such as the return of the otter – have given local stakeholders a sense of pride in local nature. 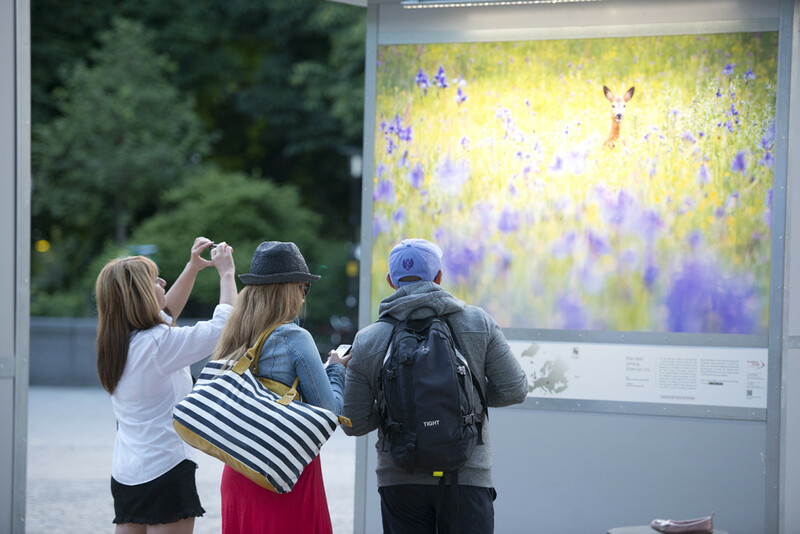 We have already seen that public engagement is crucial to the success and sustainability of rewilding projects. At Kempen~Broek this is done by organizing activities such as nature trips for schools, and by offering members of the public experiences such as canoeing and horseback riding. Twan emphasized that sharing milestone project successes – such as the return of the otter (see image right) – is also a great way to connect with people and instil a sense of pride in local nature. Maintaining two-way dialogue with stakeholders is also essential in the mitigation of problems. Twan talked about a case where members of the public were concerned about the behaviour of some Tauros cattle, which were eventually translocated. Discussing, listening and sharing success with stakeholders clearly breeds understanding, support and a sense of communal pride. Following the presentations, attendants discussed best practice in the engagement of stakeholders such as tourists, entrepreneurs and scientists. All participants stressed the importance of demonstrating the tangible benefits that rewilding can bring to the local environment. In 2016 representatives of 17 countries participated in ERN webinars, illustrating the broad interest in rewilding related topics. Some of the topics for webinars planned in 2017 include human-wildlife coexistence, habitat restoration, natural grazing and eco-tourism. By sharing information, knowledge and experience of restoration and rewilding work carried out across the continent, the ERN ensures cooperation and progress. Excluding Rewilding Europe’s rewilding areas, the network currently comprises 43 members whose European rewilding activities cover over 10,000 square kilometres. Rewilding Europe extends a warm welcome to rewilding initiatives that are not yet part of the ERN. Information on applying for membership can be found here.